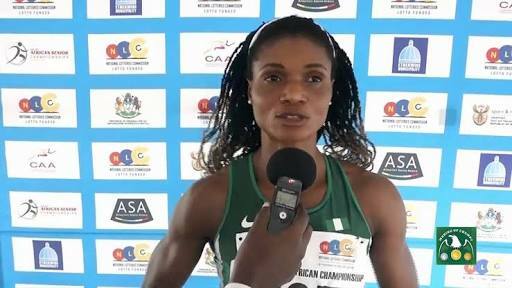 Nigerian sprinter Patience Okon-George is certain that her team will win the gold medal in the women’s 4X400m relay race at the ongoing African Senior Athletics Championship holding at the Stephen Keshi Stadium in Asaba, Delta State. The race will take place on Sunday, the last day (Day 5) at the Athletics Championship in Asaba. Okon-George had previously led Nigeria to win medals in the previous editions of the Athletics Championship. In the 2014 edition in Marrakesh, Morocco, Patience Okon-George won gold in the event before settling for silver in the last edition in Durban, South Africa in 2016.